Monday 5 October – the first day of Connor Sparrowhawk’s inquest. I decided that I would follow the live twitter feed from the inquest which was going to be posted by one of Sara Ryan’s support team and would give all of us who were not actually in the room, a window into what was happening, as it happened. I began well, avidly following every post. The night before I had an idea for something which I could do on Twitter which would show my support for the Ryan family. Recently I took a few pictures of votive candles in a church, candles which people had lit specifically in memory of their loved ones. I had lit one that day for Nico. When he was younger we went into a church and when he saw the bank of votive candles burning brightly he wanted to light one too. I explained that people lit them in memory of someone they loved who they didn’t see any more. I went through a few suggestions with him for who we could light one for and he wanted to light one for Alex, who was his close friend at Penhurst School. Alex left us long before his time, a breathtakingly beautiful boy, and I knew that Nico missed him and thought of him. So we lit a candle for Alex and talked about him. A few years later and we were in a church again, but this time we had gone there very specifically to light a candle for my mother. Nico disagreed. He thought that his grandma – queen amongst grandma’s, needed a lot of candles so she would be sure to see them. So we piled loose coins in to the slot and lit candle after candle until Nico was satisfied that his grandma could see them. Since we lost our own shining boy, every church that we go into we routinely light a candle. When it’s a cathedral we light a candle for Nico at every votive we pass. 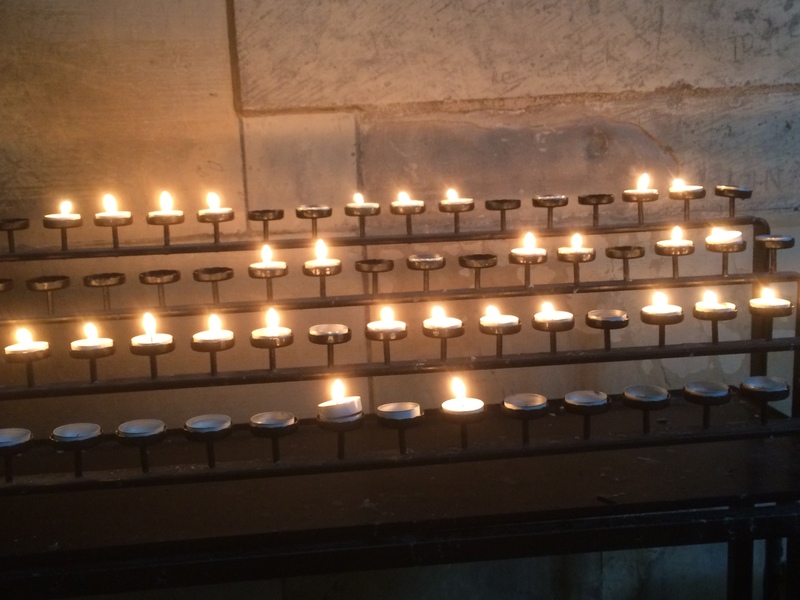 Some UK cathedrals have had at least 20 Nico candles burning in them at the same time. He would like that. So my idea was that I would light a candle on Twitter for Connor and for his family. A very simple, small thing to do. It wouldn’t appeal to everyone I knew. Some would find it too churchy, some would find it too twee or just not sufficiently hard-core justice fighter. But for some it would be that simple thing that they could do from the heart to show their support for Connor’s family, friends and supporters knowing that they were going to be sitting there, day after day, in that ghastly inquest. A small light shining in a dark world. A light of hope and hope for justice. I posted my first candle just after 9.00am, but the wonderful “Wise Grannie” from Twitter had the same idea and had posted a candle already. I posted a few more, always with the message that it was a candle shining for hope and justice and inviting people to post their own candles. A few other people starting posting candle photographs, some were really beautiful. Then I had one of those ideas that only ever come to you when you’re not trying to think too hard. Hashtag “lightupforjustice”. So I put that on my next one. Then some more people copied the hashtag and put it on their candle photos too. Then it started catching on. By mid-afternoon I could no longer follow the live Twitter feed from the inquest. There were just too many all-too familiar words and sentences and our own traumatic inquest of only 10 months ago was coming back and tearing me up inside. I left the feed. I stayed with the candles. Today is day two of Connor’s inquest and I’ve just started posting the first of my candles for the day. Candles burning for hope and for the hope of justice. the inquest is clearly a trauma in and of itself, I really could not imagine further horrors for a family but the stark and brutal live feed delivers the reality that yes more besides awaits. I have a little light burning, kitchen table setting, a small but homely space that became our ‘ bunker’. Thinking of Sara and her family and other families besides past and present who have gone through the same experience. I cannot quite believe what I am reading live, I cannot imagine hearing the sworn evidence relating to the actual care giving and record keeping emerging. Strength for the coming days to them all and to the person relaying events, harrowing. Rosi as a footnote, the candles are a beautiful idea and I am sure you are social media savvy but do you think it is worth a word of warning to everyone re prejudicing the outcome of proceedings. Associated blogs any blog any twitter feed publishing comments relating to the content of the ongoing inquest with a jury are potentially harmful. Nic. Been there myself! If you have another look back at the blogs I wrote in the year leading up to our own inquest (December last year) you’ll see I often talk about how I’m not able to say things, not able to talk about what will be part of the inquest contents. For example in my blog https://justicefornico.org/2014/09/14/how-long-is-too-long/ In many ways this is still going on and I’ve deliberately not written hugely about the outcome of the inquest or what was said by all the witnesses as all of this will be examined in greater detail in the upcoming Independent Investigation. Luckily I only know the same bare details as everyone else when it comes to Connor’s case, so I’m not able to say more than what is being said on the news. For me, it’s really just about being yet another person (like you) giving support to Connor’s family at a time when they need it most. There’s really no such thing as too much support for families during inquests and I wish we’d had even more than we did, though I’ll never ever forget those wonderful people who supported us and I thank them all.